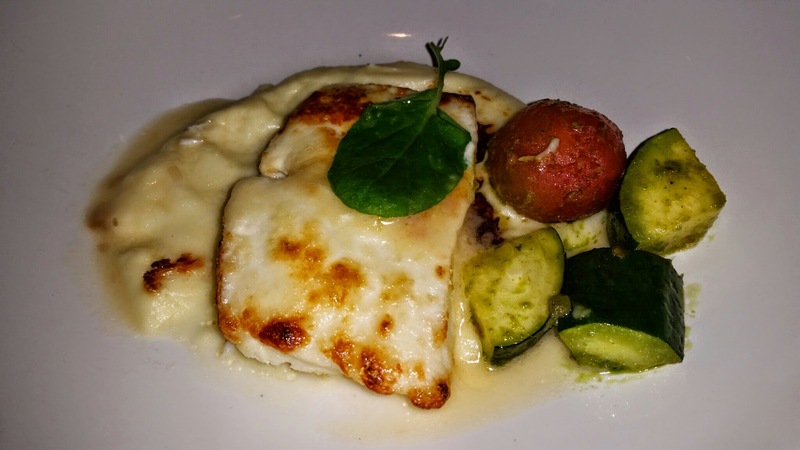 I am regularly invited to review restaurants and I love to stop in and visit places on my own as well to see what innovative dishes and exciting new recipes the chefs in my area are able to concoct. Sometimes there are many repetitive dishes in the industry and one chef does a dish better than another, but I always love to see what unique offerings the different chefs have…This past week I went to an exceptional restaurant where I got one of the best vibes and some of the most delicious food and preparation I have had in a long time! 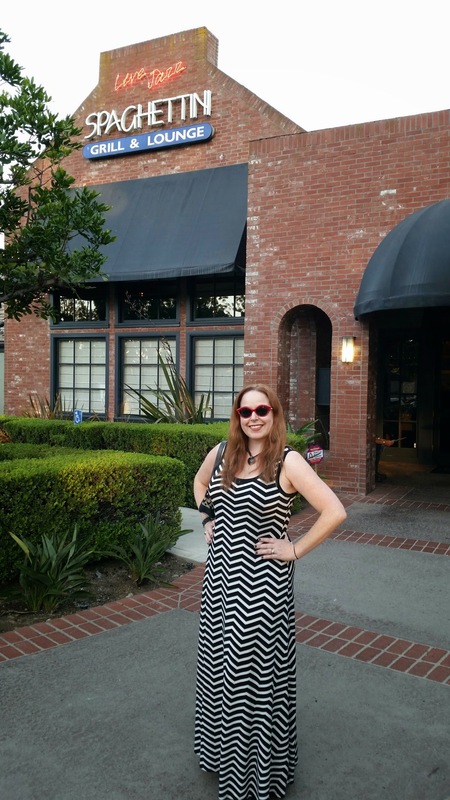 I was invited to Spaghettini in Seal Beach and had to plan it months out because my schedule has been so hectic and it is a longer commute from where I reside, but let me tell you…this place was more than worth it!! Not only did they have some of the most extraordinary food, their service was amazing and their management knew how to run a restaurant! Everything seemed to be pure perfection. When we arrived at Spaghettini in Seal Beach, the parking area was full and I did not want to valet park, but luckily the business lot next door to the restaurant also allows for restaurant parking, so we were covered. 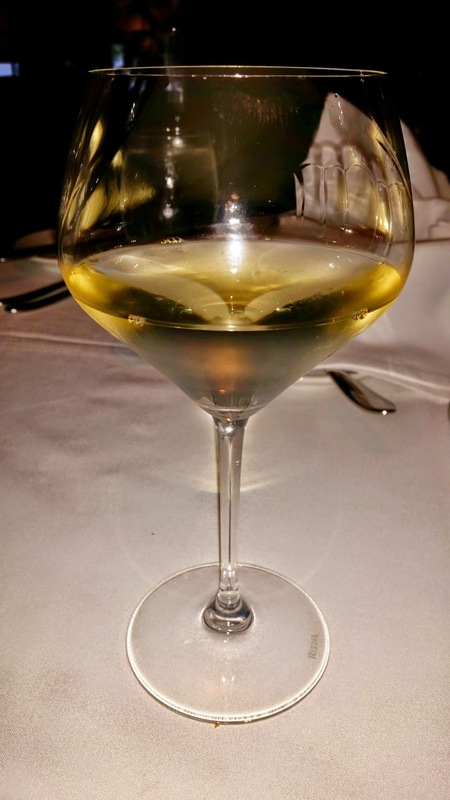 To start off our meal I ordered a glass of St. Supery Sauvignon Blanc from the Napa Valley wine region. I have been to the St. Supery winery before and love this bottle, so I knew exactly what I wanted. This wine is crisp, refreshing and light and is perfect for summer. I knew it would pair nicely with pastas and salad. To start off our meal, we had a wedge salad that included applewood smoked bacon, blue cheese crumbles, roma tomatoes, and red onions which was quite delicious and a great transition into the Ahi Nicoise! 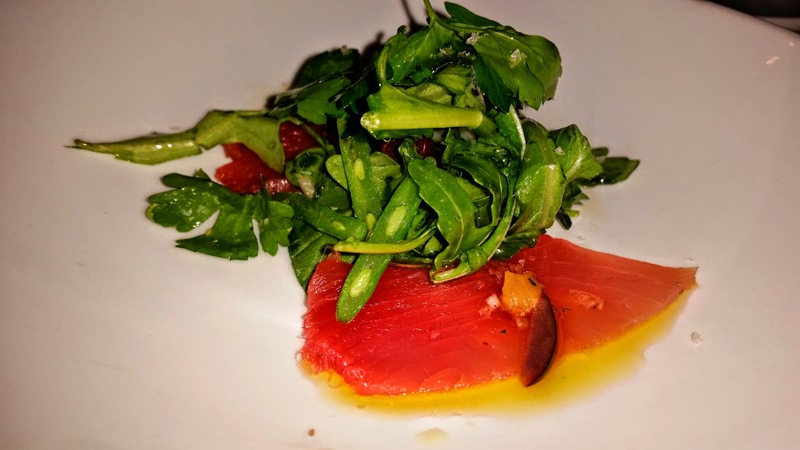 The Ahi Nicoise was prepared with Haricot vert, fingerling potato, baby arugula, parsley, kalamata olive oil vinaigrette. The ahi nicoise was perfect and had a great blend of flavor and was very light and satisfying. squash ravioli with browned butter, sea salt, Brussels sprouts & sage, and next we had the yellow corn agnolotti with mascarpone, parmigiano-reggiano. 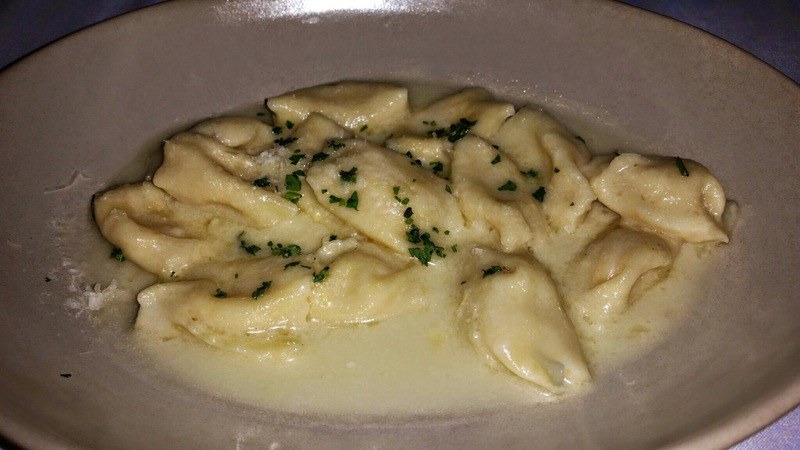 While both of these dishes were decadent and flavorful, I absolutely loved the agnolotti dish! Both of these dishes were made from fresh, homemade pasta and the burst of flavors in my mouth made me desire more never ending bites! I had never thought to blend a sweeter mascarpone with a parmesan cheese, but the sweet and salty blend together with the corn and homemade pasta was to die for!! 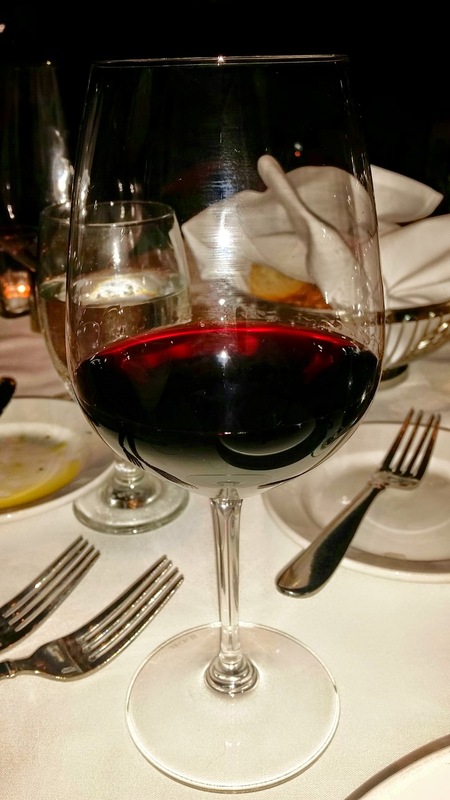 Just when I was becoming completely satiated from the pasta and salads above, I was served a glass of Duckhorn, Cabernet Sauvignon…also from the Napa Valley Region! I love Duckhorn wines and I just knew it would pair perfectly with what was to come. 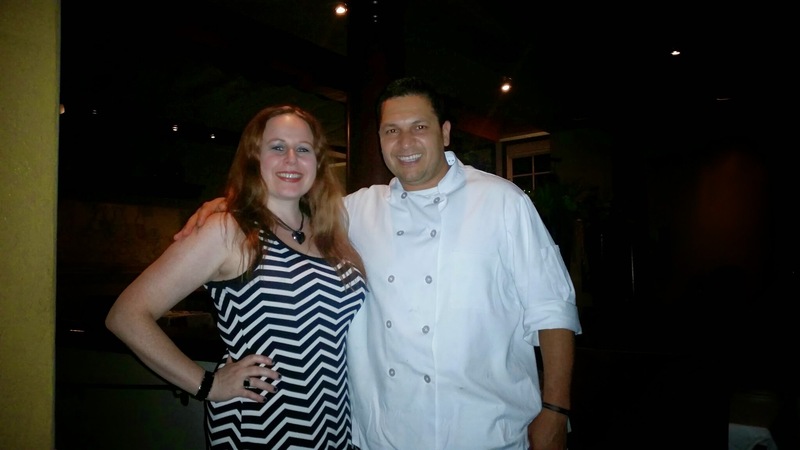 We were served the most amazing Chilean sea bass I believe I have ever had! Yes, this is a huge statement, but this Chilean Sea bass decked out with parmesan crust, Yukon gold potato purée, and citrus butter made me scream inside! The fish melted in my mouth and the blend of ingredients was spot on! I will be ordering the Chilean Sea Bass with the Yellow Corn Agnolotti when I return to Spaghettini. Both of these dishes are too fabulous to pass up! After devouring the sea bass, I did not think anything could compare and then the Duck breast with Brussels sprouts, fingerling potatoes, masumoto peaches, and miso arrived…There it was in all of its glory calling my name to gobble him up…This duck breast was tender and juicy and exactly what I would want to receive when ordering duck. The peaches were a very nice touch with the duck and I enjoyed this dish thoroughly. This dish especially went perfectly with my Duckhorn Cabernet Sauvignon! Just as I was feeling extremely full and overly satisfied, dessert arrived to the table. The desserts we selected were a Boston cream pie with Vanilla bean custard & chocolate ganache, & layered vanilla cake and a Carrot Cake with walnuts, pineapple, coconut and cream cheese frosting! 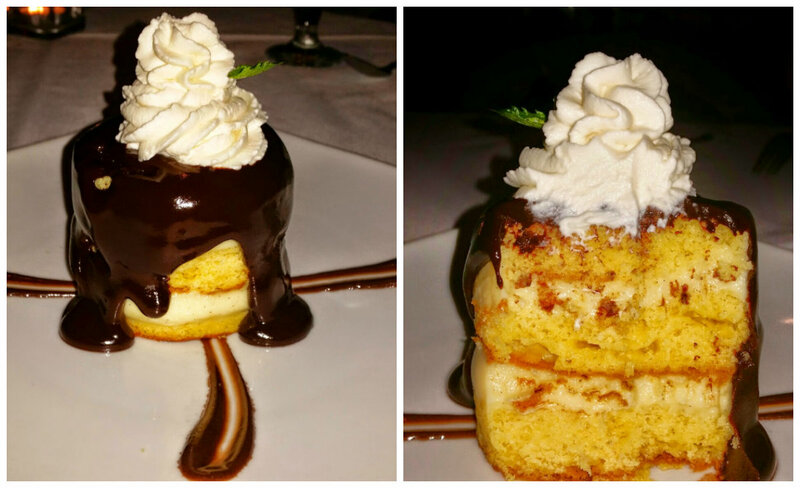 Both of these items were divine, but the Boston Crème Pie definitely stole the show! This dessert was decked out to the hilt with the most amazing flavor you can imagine and while only a ¼ of it remained after we all attacked it, I still had to bring it home with me to enjoy the next day! head in to Spaghettini to check them out! With 26 years of service and so many of the same original staff still working at the restaurant, they have so many delicious offerings and an incredible welcoming atmosphere. For their 26 year anniversary, they even have special $26 bottles of wine being offered!! Now there is a Dani’s Decadent Deal! They also have an awesome room in which there is jazz music played! Check out the calendar for the lineup! This place is definitely an event and not only a dining experience! 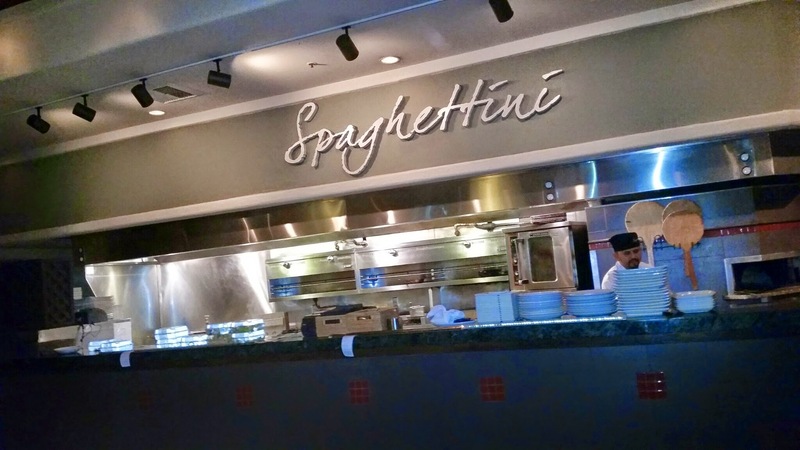 Have you been to Spaghettini? Please share your experience below…and if you have never been…well now you know why you need to go! This place looks great for a night out with your love one. My goodness, I so wish we had this restaurant in Anchorage. The food looks and sounds incredible! I was there years ago and it was fantastic. Glad to hear it’s still in business. Looks like an amazing place that I have on my list now! Sounds like a perfect place to go out to eat! Wish I would live a bit closer! Amazing ambiance to be with.. I love the dishes.. Thanks for your comment! This place is awesome! I am Italian, and it is hard for me to find a restaurant that stands up to my “Bama’s” Italian cooking! I love the name of this restaurant, and if the vibes and the food are good then that’s a win/win! You had to through the image of the Boston Cream Pie in there didn’t you. All this looks so good, but that pie. I would love to have a piece right now. I cannot wait! Let’s plan to go soon:) I am with you on those two items! 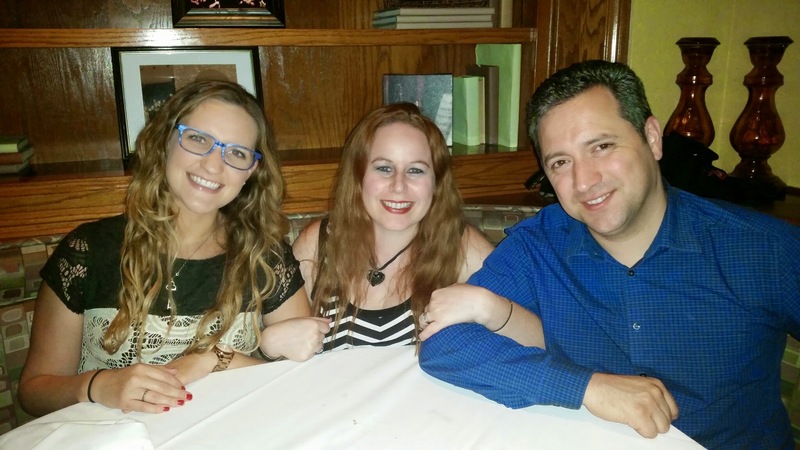 How lucky you are to be invited to review restaurants – it’s a dream job! I also love sea bass so my mouth’s watering just at the pictures! I live in Hawaii, but the next time I visit my parents I will have to check it out! The live close to Seal Beach!! Thanks again Dani and Tom for the wonderful reviews!! Came out just in time for the OC Register review from Brad Johnson!! Seems our service “Nailed It” though Brad never got the chance to try the Seabass!! He did love the Halibut another must try! Pleasure serving you! See you soon! !